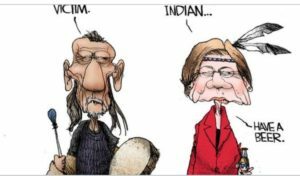 “Yesterday, January 28, 2019, the Las Vegas Review Journal published a propaganda cartoon in derogation of Native Americans using a stereotype of Indian alcoholism. Racism is an abuse no matter how softly or funny media represent its abuse. There is a genuine and pervasive failure of trust by the media to report the truth of issues concerning Indigenous people. It is media disservice to openness, freedom of information and democracy. The Shoshone people seek understanding and reconciliation and get abuse from the Las Vegas Review Journal. Similar abuse was reported in the recent submission to the UN International Convention on Civil and Political Rights as, propaganda in support of genocide. The point is that media bias and racism kill Indians. In 1850, California passed An Act for the Protection and Governance of Indians that authorized Indian hunters to take Indian hands and scalps for $25 and make slaves of Indians found not working. Slaves were taken until they showed miners where the gold was such as in the case of a Shoshone tortured to give the location of gold at Rhyolite…Before any settler or miner saw an Indian, media propaganda was there. Today, the media does not report Native American past exposure to radioactive fallout from US/UK secret nuclear testing and disproportionate burden of risk. The Shoshone people cannot endure any increased burden of risk from any source including resumption of WMD testing by US/UK, plutonium disposal from the Savanna River Site, depleted uranium disposal, proposed high-level nuclear waste disposal at Yucca Mountain, coal ash uranium or fracking released radiation. We should all be offended by genocide. The motive for the US to is to defraud the Shoshone people of our property. The intent to commit genocide is the culture of secrecy because we will never know what is killing Indians in secret. Biased media does not help protect the Shoshone people by providing unbiased information of importance to indigenous people so we can take protective action. Tribes Intend to Celebrate Grand Canyon’s 100-Year Centennial …Shutdown or Not! 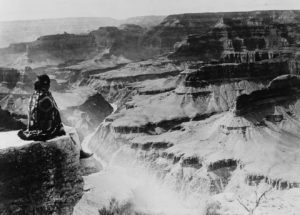 Canyons–Arizona–Grand Canyon National Park–1900-1940 : National Photo Company Collection. “…The Grand Canyon is, by far, Arizona’s most-visited national park unit, and Governor Doug Ducey’s decision to use state funds to keep it open during the shutdown means that visitors did not have to alter their travel plans, and the park’s concessionaires—including the lodges and restaurants—could remain open. Tour companies, too, continue to do business at the Grand Canyon. While there are no federal employees counting cars at national parks right now, indications are that visitation to the Grand Canyon has remained strong through the shutdown. The centennial celebration will take place on February 26. Grand Canyon’s Native American Havasupai Tribe has been living in and around the South Rim of the canyon for 800 years. ‘The 100th year milestone celebration is a time for reflection on the past and inspiration for the future, honoring those who have called the canyon home for thousands of years,’ says Park Superintendent Christine Lehnert… While millions of visitors ooh and aah at the canyon’s splendors each year, others have quietly appreciated its beauty for centuries. The Havasupai tribe has been living in and around the South Rim of the canyon for 800 years. Anthropologists say the Havasupai maintained life by hunting along the plateau during the winter and raising crops and tending orchards in Havasu or Cataract Canyon during the summer. 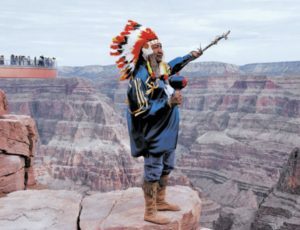 Recognizing the economic boon called tourism, the Hualapai opened its lands to the public 30 years ago, promoting it as ‘an untouched piece of land where the Grand Canyon could be experienced without the crowds found along the North and South Rims’. Today’s quarter of a million reservation inhabitants fan out over some 27,000 square miles, most of it in northern Arizona that stretches west to Grand Canyon National Park. 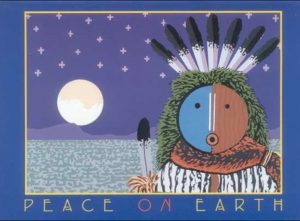 Also present are the Hopi people, one of the oldest-living cultures in documented history, who have resided for the past 2,000 years in the Four Corners region where Arizona, New Mexico, Utah, and Colorado meet. Other tribes that have roamed this territory and called parts of the Grand Canyon sacred areas home include the Zuni, Kaibab Paiute, Shivwits Paiute, and San Juan Paiute. The canyon’s early inhabitants will play a big part in the centennial celebration with year-long special events starting with a Tusayan Community Centennial Celebration in February and leading up to American Indian Heritage Days — and Native American Heritage Month — later in the year. The event, a celebratory occasion to kick off our centennial year, will feature Park Service and Grand Canyon Conservancy speakers gathered at the Grand Canyon National Park Visitor Center Plaza. In addition to the speeches and musical performances, there will be free cake to enjoy along with the scenery and its centuries of Native American history. 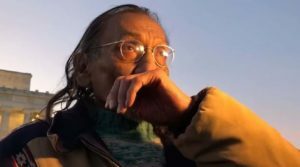 Nathan Phillips trends on social media. “A Native American man steadily beats his drum at the tail end of Friday’s Indigenous Peoples March while singing a song of unity urging participants to ‘be strong’ against the ravages of colonialism that include police brutality, poor access to health care and the ill effects of climate change on reservations. Surrounding him are a throng of young, mostly white teenage boys, several wearing ‘Make America Great Again’ caps. One stood about a foot from the drummer’s face wearing a relentless smirk. A few people in the March for Life crowd began to chant, ‘Build that wall, build that wall,’ he said. ‘It clearly demonstrates the validity of our concerns about the marginalization and disrespect of Indigenous peoples, and it shows that traditional knowledge is being ignored by those who should listen most closely,’ Darren Thompson, an organizer for the group, said in the statement. “But then, an unlikely solution surfaced. Red Lake Nation, a tribe some four and a half hours’ drive north, offered to help build temporary shelters on land it had bought two years ago for a permanent housing development in the city. Other tribes in Minnesota supported Red Lake’s shelter proposal, forming a partnership to help win concessions from local officials and secure emergency relief. It was a rare show of unity by tribal nations to resolve an urban crisis, Native advocates said. 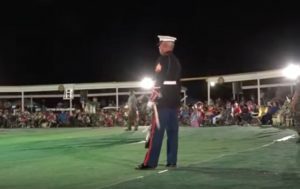 And it represented a potential turning point in the sometimes distant relationship between Native Americans who live in urban areas and those who choose to remain on reservations…The majority of American Indians live in cities, although very little federal funding is directed specifically toward them. 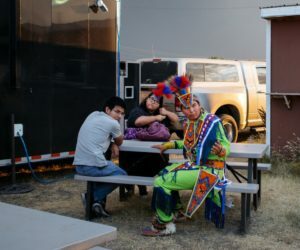 Tribal governments do receive federal dollars, but they usually go toward life on the reservation. There is rarely enough to expand resources and services needed in urban areas, where Native Americans often lack basic housing. 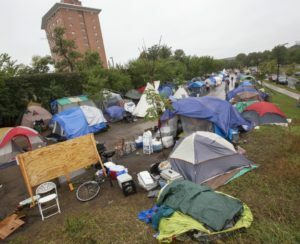 The homeless encampment in Minneapolis. 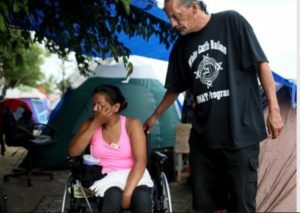 Clarista Johnson, 20, lived on the Mille Lacs Band of Ojibwe reservation. When her grandfather died, she said, she left drug treatment to mourn with her family, but then fell out with her aunt and boyfriend. Both of her parents were incarcerated. She considered her prospects on the reservation to be bleak, so she left for Minneapolis, about two hours south. ‘I thought maybe the cities would have more resources, more options,’ she said. Instead, she continued her struggles with meth and heroin addiction, and had no place to live. 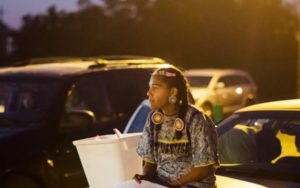 For the past five months, she had been staying here at the encampment, in the city’s Native American corridor. Orange buckets for disposing used needles were scattered about and mangled tents were pitched beneath a noisy thoroughfare, the scent of burning wood choking the air. 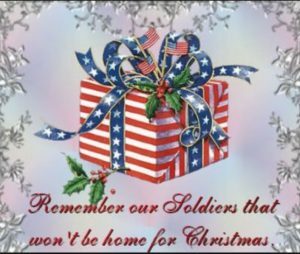 An elderly man limped around barefoot, his feet stiff…Roughly eight out of 10 American Indians do not live on reservations. The mass migration to cities, experts say, was prompted by the Indian Relocation Act of 1956, when the federal government, attempting to assimilate Native people, offered them incentives to leave their reservations. But assurances of opportunity gave way to discrimination, isolation, dead-end jobs and poor living conditions that continue today. 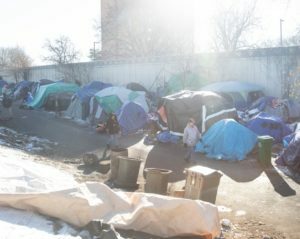 In September, after negotiations between Native-led nonprofits and the city failed to yield an agreement on a site for temporary shelters to address the homeless encampment, Sam Strong, the Red Lake Nation secretary, offered the tribe’s property, a solution that was quickly accepted…The parcel of land is just south of downtown. The tribe plans to build a complex with 110 units of affordable housing, and is expected to break ground next summer. It will also offer social services and cultural events, such as drum circles, Mr. Strong said…Ms. Johnson moved into the new temporary shelter late last week, and she now sleeps in one of its heated dome-like tents. She can come and go as she pleases 24 hours a day and not be turned away, even if she is high — a policy that Native leaders pushed for to ensure a welcoming environment. The faint scars on Ruth Fourstar’s arms testify to a difficult life on the Fort Peck Indian Reservation: the physical and emotional abuse at home, the bullying at school, the self-harm that sent her rotating through mental health facilities and plunged her to a remedial program from the honor roll. A diploma from Wolf Point High School could be a ticket out of this isolated prairie town in eastern Montana. Instead, Ms. Fourstar, 17, sees her school as a dead end. Her despondency is shared by other Native students at Wolf Point and across the United States. Often ignored in the national conversation about the public school achievement gap, these students post some of the worst academic outcomes of any demographic group, which has been exacerbated by decades of discrimination, according to federal reports. 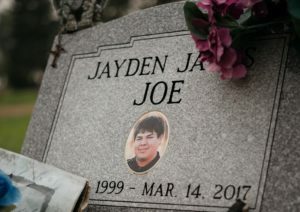 The population is also among the most at risk: Underachievement and limited emotional support at school can contribute to a number of negative outcomes for Native youths — even suicide. 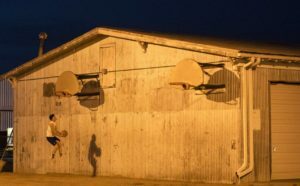 Citing these factors, in 2014, the Obama administration declared Native youths and their education to be in a ‘state of emergency.’ While the Interior Department’s Bureau of Indian Education runs about 180 Native-only schools, more than 90 percent of Native students attend integrated public schools near or on reservations, like Wolf Point. In June 2017, the Tribal Executive Board of Fort Peck filed a civil rights complaint with the Department of Education’s Office for Civil Rights requesting a federal investigation into the tribe’s contention that the Wolf Point school system discriminates against Native students…According to the complaint and to interviews with dozens of students and families, Wolf Point schools provide fewer opportunities and fewer social and academic supports to Native students, who make up more than half of the student body, than to the white minority. The junior and senior high schools, which together have an enrollment of about 300, shunt struggling Native students into a poorly funded, understaffed program for remedial and truant students, often against their will…One of the few places where Ms. Fourstar has flourished at the high school is the Opportunity Learning Center, an ‘alternative’ program with more than 50 students — about 95 percent of them Native. They spend a couple of periods to most of the school day there. Cookie Ragland, the program’s director and only full-time staff member, is white and grew up just west of the reservation. She has devoted her career to students who ‘don’t fit into mainstream, traditional educational classrooms’ and was drawn to Wolf Point in 2003 because it had the only alternative program in northeastern Montana. For her classroom, Ms. Ragland procured a refrigerator, which she stocked with sandwich supplies, and a washer and dryer for students who did not have homes. She allowed Native students to earn a biology credit for going fishing and bringing back their catch to dissect. She spurned worksheets and encouraged students to do research papers on topics that interested them. In recent years, though, the school administration has given Ms. Ragland ‘little financial or other support,’ according to the tribal board’s complaint. It has ordered her to stop developing Native-centered curriculums and taking students on field trips. At one point, it required learning center students to enter the school through a back door.